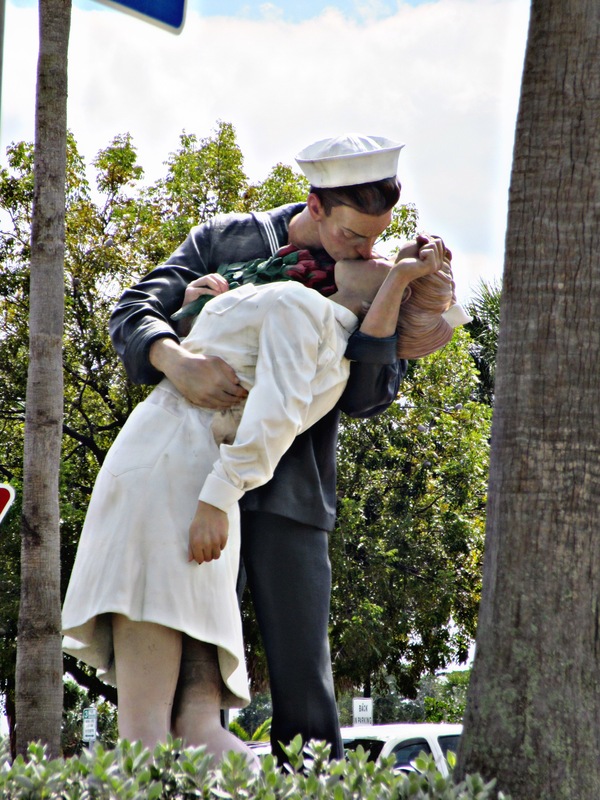 Sarasota’s Unconditional Surrender. Image. ©2016 K E Garland. Yes! Absolutely! ❤ 🙂 Lovely sentiment there, Kathy. You've just inspired me to do Haiku on this. May I use the Image for it? What??? Abso-flipping-lutely lol Make sure you send it to me when it’s done! Kathy- Thank you so much for stopping by my blog. Again, I’m shown how the universe is linked…you just like my post regarding my testimony on the witness stand- I look at your blog and see this post. Which directly connects to this photo- and some of my experiences…please visit again and see this when you have time…thanks for teaching and sharing the wisdom! We’re all connected luv! But it still amazes me too. I’ll check it out soon! I just wanted to share this happy image with you all. Thanks Raúl! I haven’t forgotten about your quotes. I will post the end of April. Oh I’m not sure. I just have family in Sarasota and that’s where it is. I know right…you gotta see it in person though. It’s huge! The first time I saw this in person I was awestruck! I need to go back out there now that all the tourists are gone for the season. I know right Lisa! I was so glad I wasn’t driving. Also didn’t realize this sculpture is replicated all over the world! Oww, I didn’t know it is replicated all over the world. Now I’m even more intrigued. Cool, I think I will. Thanks.